This week I have received several queries from people asking whether it is necessary to place water out with rodent baits. They have been told, or have read, that poison baits make rats and mice thirsty and that they will gnaw pipes to get at water to drink; so that placing water with the bait means they are less likely to gnaw pipes. This is one of those stories that has some truth and sounds plausible but but comes to the wrong conclusions. Almost all rodent baits contain an anti-coagulant toxin* such as the coumatetralyl used in NO Rats & Mice. Anti-coagulants do indeed have a slight tendency to make the rats and mice thirsty, but the rodents are likely to find water in their usual places if they are able. 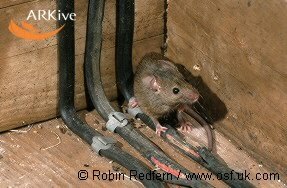 Rodents do indeed often gnaw at pipework and cables causing considerable damage. But they do this because their incisor (front) teeth grow continually throughout their life and must be kept worn down and sharp by regular gnawing. This is why rats and mice gnaw things other than their food. Plastics, including plastic pipes and cable covering, seem to be of a consistency that they get 'pleasure' from gnawing. Placing water alongside baits is unlikely to influence the likelihood of them gnawing pipes. Anti-coagulant poisons take several days to begin to take effect. So the rats and mice are likely to be some other place when they begin to feel ill and thirsty. In most cases they fall ill and die in their nest. The delayed action of anti-coagulants is very important for their effectiveness and in making anti-coagulants a safe type of poison for use in homes. If a poison makes a rat or mouse feel ill quickly, they will associate the illness with the bait and will avoid eating any more. If they have not yet consumed a lethal dose they can recover and will be 'bait shy' meaning baits will no longer be effective. With ant-coagulants the delayed onset of illness means they do not associate the illness with the bait and they have already taken several feeds of bait ensuring they have taken a lethal dose from which there is no recovery. The slow onset of illness also has the advantage of giving plenty of time to administer the antidote to any non-target animal, such as a pet, that accidentally takes bait. Vitamin K is a fast and effective antidote for anti-coagulant poisoning. Another interesting fact about mice is that they can obtain all their water from their food and may live their lives without ever needing a drink. In conclusion, there is no need to leave water out with rat and mouse bait. But it is important to control rats and mice promptly to reduce the risk of damage to pipes and cables caused by their gnawing habits. *Kiwicare Natural NO Rats is a novel rodent bait that does not contain an anti-coagulant poison. It does not contain any poison! Instead it works by physical action. Rodents do not posses the enzymes in their gut necessary to break down the cellulose in the bait. Rodents cannot vomit and so the bait remains in the alimentary canal where it prevents feeding and causes dehydration and death by heart attack. The bait is safe for other animals. Who is the king rat in Rome? 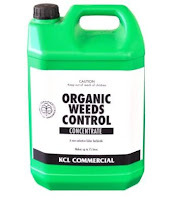 In October 2010 Kiwicare launched the new BioGro Certified Organic NO Weeds (now call Organic Weedfree Rapid) ready to use trigger spray and I blogged about how it works. Since then sales of this product have soared and it is available in hardware stores, garden centres and supermarkets across New Zealand. I have been contacted many times since the launch of the product by organic farmers, horticulturalists and gardeners asking when the concentrate version would be available. Well, I am happy to tell you that NO Weeds Concentrate is now available in 5L and 20L sizes. The concentrate is also certified by BioGro the main New Zealand organic certification agency. The concentrate is diluted 1 part concentrate to 14 parts water or 10 parts water for tougher weeds. Like the ready to use spray it combines fatty acid and pine oil in a product that strips the waxy cuticle and cell wall from weeds so that they rapidly dehydrate and die. You can almost watch the weeds fall over within minutes. The one that lifts the earth. Naturally! The cool (maybe that should be cold) snap we are experiencing in New Zealand is driving cluster flies to seek shelter for the coming winter. They find dry dark places such as attics, ceiling voids, eaves, spaces around ill fitting windows and doors, and other nooks and crannies around houses and other buildings. The flies had begun clustering in the middle of March but this cool snap will encourage more to join the congregations. In such cool weather the activity of the flies is greatly reduced and they cause less nuisance to homeowners as they remain in a dormant state. But the cool snap is due to end this weekend. As warm sun heats the spaces the flies have found then they become active and drop out of light fittings, buzz around rooms and attract many more of their kind to the affected houses. So if you live a rural part of New Zealand watch out for the clusters that have gathered waking up and filling your home. Kiwicare have recently added to the arsenal of products available to prevent and get rid of cluster flies. 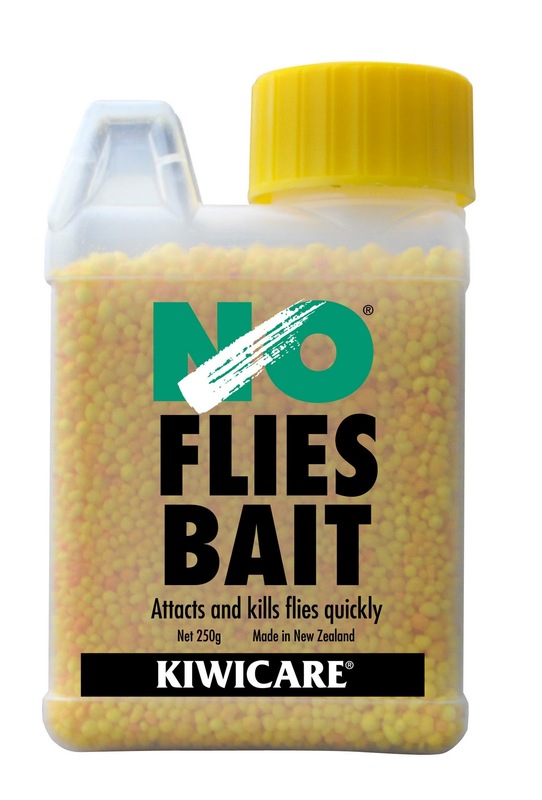 New NO Flies Bait has been found to be very effective against cluster flies. Place the bait around the exterior of affected buildings to intercept the flies before they have a chance to move in. A woman walks into the kitchen to find her husband walking around with a fly swatter. 'What are you doing?" She asked. "Yep, 3 males, 2 Females." He replied. Intrigued, she asked. "How can you tell them apart?" He responded. "Three were on a beer can, two were on the phone." I have been warning that the damage caused to Christchurch’s infrastructure has left the city and its people vulnerable to plagues of pests. Rats and mice are able to take advantage of damaged sewers and buildings. Flies, mosquitoes and midges find new breeding sites in stagnant and contaminated puddles. Ground dwelling ants have been disturbed and have moved into homes and other buildings. Plus the normal pest operations that keep pests under control have been disrupted. As the weather cools in autumn it is normal that rats and mice seek shelter and food in buildings. 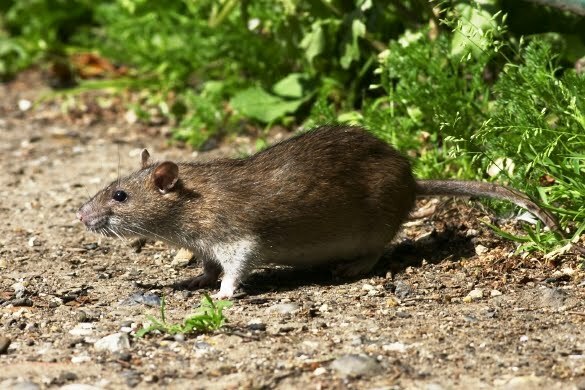 This annual influx of rodents is likely to be more serious this year, particularly in areas where damage to buildings and sewers provides them with easy access. I previously predicted a greater than usual problem with rodents this year. Warm and moist weather across the country has provided near ideal breeding conditions with more available food than normal. Now is the time to be proactive, and whether you are in Christchurch or elsewhere in the country, it is the best time to place rodent bait in vulnerable places around buildings. Weatherproof bait blocks should be used around the exterior of buildings and the blocks or bait and tracking powder should be placed in attics, garages, and other places where rodents are likely to look for food and shelter. “The trick is to intercept them before they have time to set up a nest in the building. The Kiwicare offices and factory are in Bromley, one of the hardest hit parts of Christchurch. We have been luckier than many. The strong building has meant that production was only disrupted for a week. But we are seeing at first hand some of the pest issues that are likely to be a particular problem in the damaged areas of the city. Disruption to the nearby sewerage settling ponds and the standing water formed in sink holes and liquefaction is providing breeding sites for mosquitoes, midges and flies. These insects have been seen in and around the offices. The midges, which can be mistaken for mosquitoes, are found covering the windows and walls. Although they don’t bite, not having mouth parts, their large numbers can be an unpleasant nuisance. Rodents and flies are carriers of disease and increased number of these pests combined with the problems of sewerage leaks makes for a serious risk to health. Cooler weather is likely to help keep the insect pests reduced, but it will also encourage the rodent pests to move in, so whichever way the temperature goes it is likely to cause increased pest problems for the already embattled people of Christchurch. You can help the city by making sure your property is not a breeding ground for pests. A swarm of flies go into a bar. "What's the buzz?" Asks the bartender.